Seasoned salts have become a popular and healthier alternative way to season all manner of dishes. Our blend has celery seeds, sea salt, thyme, sage, oregano, onion, garlic and pepper. They add a tasty flavour without being spicy or dominating the dish. The use of celery salt seasoning means less salt is needed to bring out the flavour of the dish. The base of celery salt seasoning is the celery seeds itself. Celery seeds are mainly produced in India and China. Celery Seed doesn’t actually come from the same celery plant that we eat, it is a derivative of a domesticated wild plant know as ‘smallage’. It is often used in soups, salad dressings, and pickling. Celery seeds have been used as medicine for thousands of years in the Eastern world. During ancient times, Indian Ayurvedic medicine used celery seed to treat colds, flu, water retention, poor digestion, different types of arthritis, and certain diseases of the liver and spleen. It is still widely used today for treating ailments such as arthritis and gout, helping reduce muscle spasms, calming the nerves, reducing inflammation and lowering blood pressure. 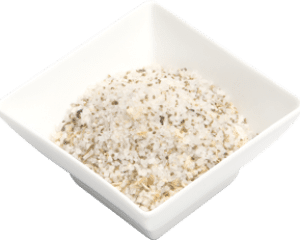 The celery seeds are then combines with sea salt, black pepper, garlic, onions, sage, oregano and thyme to make a versatile season with a mild celery like flavour. It is also fine enough to sprinkle over dishes without being gritty. All of our blends are full of beneficial herbs and spices to your health. They are preservative free, additive free, filler free, and contain low or zero salt. The intense flavour from our herbs and spice blends means a little goes a long way and using our spice blends to create the flavour in your dishes is a good way to incorporate the health benefits of beneficial herbs and spices without the calories. We only use Australian sea salt, which contains vital minerals and is considered a healthier salt. Made from local and imported ingredients; celery seeds, sea salt, black pepper, garlic, onions, sage, oregano and thyme.